Learn the diet right for your genetic make-up and receive information that helps you make more personalized choices. 100+ genetic variations tested. 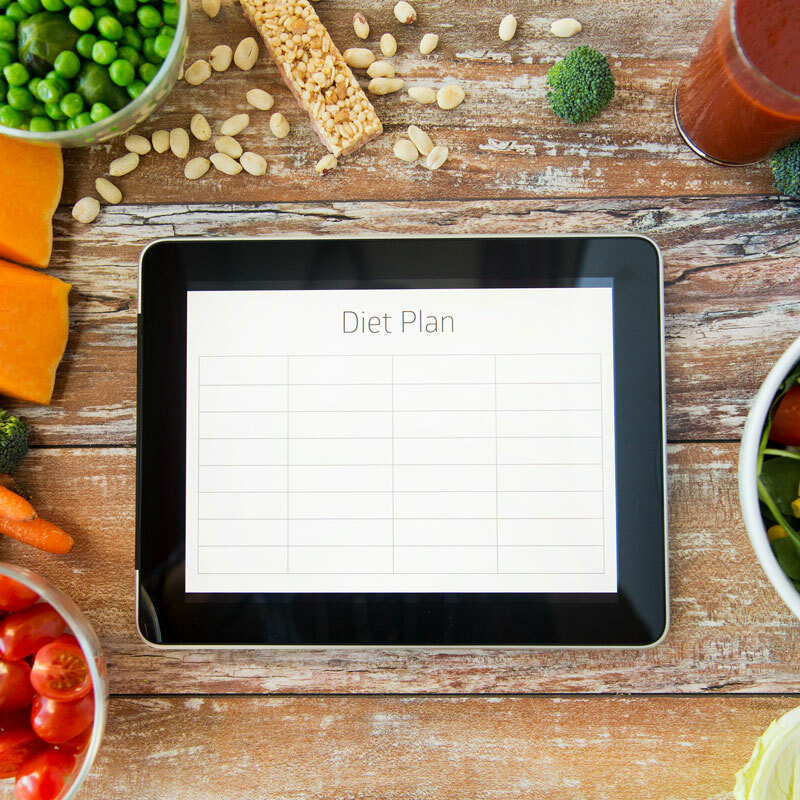 You want a healthy diet that helps you manage your weight. But which one is right for you? You have a unique genetic makeup that will vary in how it breaks down, absorbs and utilizes the foods you are eating. By learning your diet predispositions and food intolerances, you can avoid consuming food that is not ideal for your genetic type. 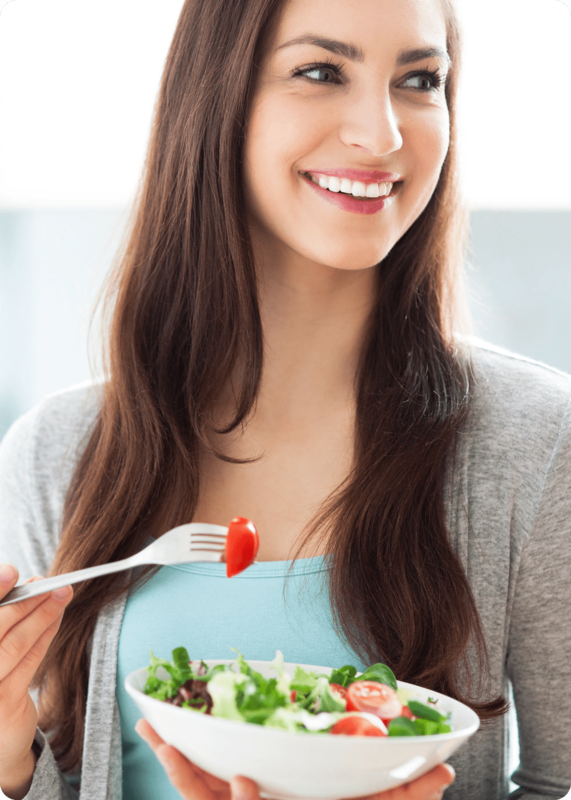 Learn your genetic food sensitivities and the DNA diet right for you. Your preference for caffeine, carbohydrates, fats and protein. Your taste ability for bitter, salt, sweet tastes and smoking behaviour which can lead to over or under consumption. 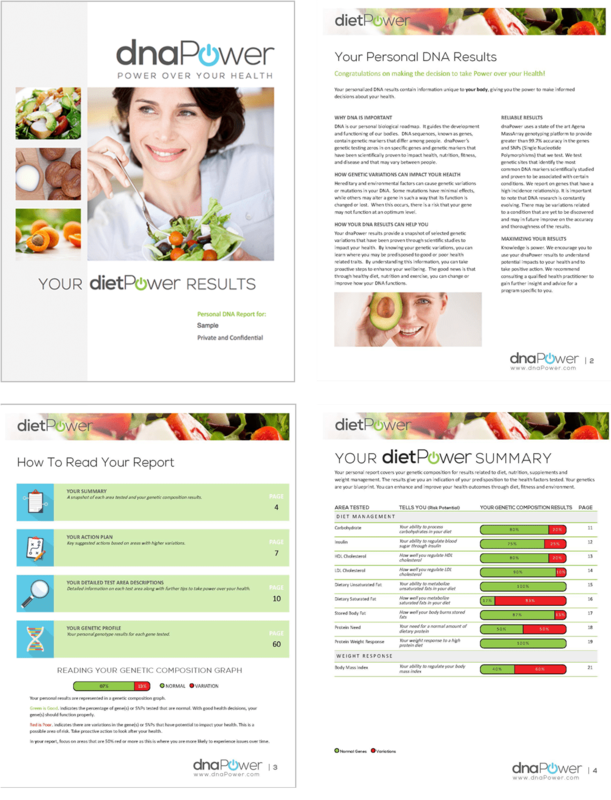 The report comes with recommendations on action PLUS you have the ability to speak with a DNA health advisor and order a meal plan to help incorporate these recommendations into your life with a health consultation. What type of macronutrients does my body need to thrive? Should my diet consist of more fats, carbohydrate or proteins? Should I avoid caffeine, alcohol, lactose and gluten? Am I more sensitive to salt and sugar in my diet? Can I convert the vitamins I get through food to the active form my body needs? How can I support my body through supplementation? "After adjusting my diet and eating for my DNA I went down 4 dress sizes in just a few months! I feel like I can finally be the energetic, active woman I always knew I was."